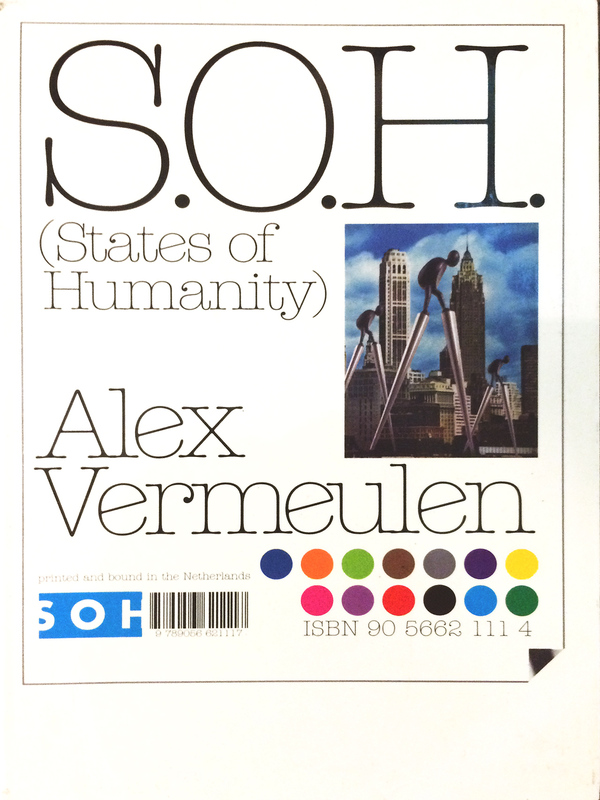 Whereas in previous projects a book, written by Vermeulen, is the place where story and images (photographs, drawings and sculptures) form an integrated whole, there is now the SOH-book in which the stories, written by others on the basis of an interaction with the artist, on the one hand, and with sculptures on the other. As such it is a logical continuation of previous projects. Since his very first activities as an artist, the interaction with an audience has been extremely important for him. They are not uninvolved spectators, but are challenged, compromised, forced to take a stance. 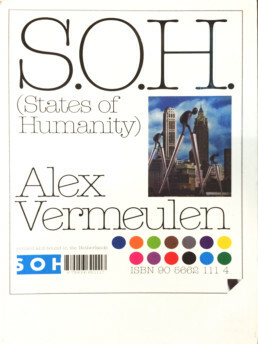 The book is an extension of the way of working seen in S O H. The States of Humanity book is to be a travel guide for a present-day metropolis: a manual full of cross references, coincidences, allusions, stories, pictures, associations. The structure of the publication should give ‘the visitor’ a feeling that the different components refer to the planological structure of an imaginary world – a conglomerate of alleyways, streets, boulevards and squares, each with its own character and social traffic. 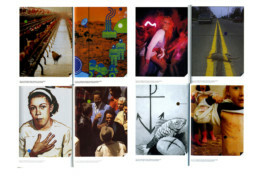 Vermeulen has invited the following writers to act as ‘architects’ for the planology of the book: filmmaker Lodge Kerrigan, the philosophers Arthur Danto and Richard Shusterman, composer David Shea, architect Greg Lynn, the writing team Martin and Annette Meyers, director of interdisciplinary dance theater Ron Bunzl and the author Robert Greene. By way of essays, they have given both their professional and personal views on life in a big city. All of the authors were asked to place themselves, while writing, in the physical and mental position of a single figure from the series of six sculptures, the aim being to give rise to speculations and fantasies about the disruption of habits. Among the angles of approach were dreams, memories (of youth) and fears. The essays that came about in this way form the basis of photographic works that Vermeulen has manipulated by computer. A part of the visual archive from which he collects material is being provided by the authors. In this manner, image and text interact in a dynamic and unpredictable way.